What causes Bellefonte home prices to fluctuate? Over time, the worth of a house will go up and down. Over a long enough period of time, property values almost always appreciate. But there are no guarantees in real estate. When your property appreciates you have a more valuable asset to borrow against, and you'll realize a bigger profit when you sell. But how do you know what you're purchasing today will appreciate over time? Property values in Bellefonte go up and down for different reasons. It's critical that you select an agent in Bellefonte who knows the factors that influence local prices. 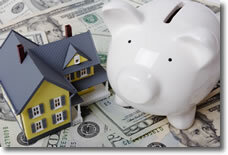 Many believe that the economy is the greatest factor impacting real estate appreciation. Obviously, there are many issues on a national level that alter your property's value: unemployment, mortgage rates, the stock market, and more. However, your property's value and the aspects that play the most significant role in its appreciation are specific to the local Bellefonte economy and housing market. Access to services - Many consumers want to live in areas with the best and most convenient traits for families to do well, such as a close proximity to schools, jobs, and work. So when it comes to retaining their value, these communities often appreciate much more reliably than areas lacking key features. The latest home sales - What's the time on market? What was the selling price versus the listing price? A lot of data can often be retrieved from public records, but a good agent with a login to the local MLS will usually provide a more complete picture. History of appreciation - In the past 5 to 10 years, have property prices increased or decreased? Does location or affordability affect how desirable the area is considered? Local economy - Is there a nice blend of jobs in an area, or does it rely on just one industry? Have businesses moved into or away from an area? Are local businesses hiring? All these play a part. Knowing the factors that play into your property's worth is important. Get an estimation of your house's value here. Call me at 814-357-2371 or e-mail me if you have any questions at all. I'd love to hear from you.